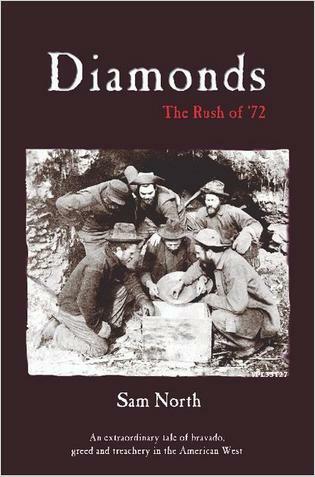 Diamonds - The Rush of '72 by Sam North is a bold and ambitious western, telling the story of the long-forgotten diamond rush in California in the 1870's. The story follows the progress of the two world-weary Kentucky prospectors, Philip Arnold and John Slack, who claimed to have found the diamond fields. The two men walk into a bank in San Francisco one morning to deposit a sack of diamonds in its vault, and this sets in motion a story that focuses the attention of the world upon them. From rich Californian bankers to the European aristocracy, all are drawn by the promise of the latest, extraordinary fortune to be made in the New World, and all unable to contain their greed. And greed is at the heart of this novel, which on one level is a warning parable to us all  and seems especially relevant to the Internet entrepreneurs of recent years. The novel presents us not with a portrait of the Old West, and all the cliché that entails, but of the Real West. This is a California still largely unsettled, where most of the state is unclaimed wilderness and settlers must still fight to survive, let alone prosper. Therefore, San Francisco is an emerging and prosperous city, yet its streets are still clogged with mud. The railroad has reached the West Coast, yet the trains never run on time, and passengers cannot open the window without gaining a face-full of soot. Whatever dreams of the West men may have are tempered here by the harshness of Frontier reality. The atmosphere of the West is vividly described: it is a society poised between hope, hard work and desperation. The novel is immaculately researched and packed with historical detail, yet one of the remarkable feats of the novel is that this detail creates the authentic atmosphere but never overwhelms it. Sam North has created a powerful vision of the West in this novel, one that fits with the contemporary writing of Mark Twain or later, Stephen Crane, whose short stories captured so well the transient nature of the Frontier society, which could inspire as much despair as hope. This is a brutal, savage West, and the laws of survival seem heightened and essential. Prospectors toil in the mountains searching for gold, only to lose their fortunes to crafty bankers, and this novel could almost be a precursor to Frank Norriss The Octopus, which takes the corporate strangling of a Western community to its logical and terrifying extreme. This is a West of drunkenness and racism, importing Chinese coolie laborers to get the railroads built, and threatened by economic disaster and uncertainty. Yet for all the gritty realism, this is a buoyant and optimistic novel, focussing on the little men and their attempt to take on big business. The characters are strong and utterly believable, and many drawn from real life people of the time. The two prospectors, Slack and Arnold, are two very complex men: one a rambunctious, high-living showman, the other a dour, introverted man who finds peace only when fishing or in the mountains. Their relationship is reminiscent of Butch and Sundance, but much subtler, and North develops this relationship at the heart of the novel, right up until the grand denouement. The rest of the cast of characters, the whores and prospectors and bankers, are all realistically portrayed and essential to the novel, and the dialogue is memorable and exact. For this is a Western in the best sense, the story or men and their dreams and carried along by an intricate plot. From two men walking into in a San Francisco bank, the story spreads out across America and even to Europe as the international and political significance of a diamond find in America is realized. Diamonds is also an extremely funny novel, although it is by no means a comedy. But North takes great pleasure in poking at the pretensions of Californian society, so desperate to imitate the refined gentility of its East Coast cousin, yet forced to accommodate and flatter two scruffy Southern prospectors who may just hold the key to the astonishing diamond wealth. The tone of the novel is lively and yet also elegiac, allowing moments of unexpected tenderness between characters, and containing beautiful descriptive passages evoking the unsettled mountains and plains. The story is told by a narrator who knew Slack and Arnold but never accompanied them on their adventures  he is both admiring and critical, hopeful and yet cynical, forcing the reader to admire the two men but not necessarily to like them. And there is a sense, too, of fate lurking behind it all. The Western Frontier is a brief window of opportunity offered to men, some of whom have the good luck to make a fortune but some of whom dont. The diamond rush in California has been long overshadowed by the Gold Rush, the event that came to symbolize not just the State of California, but also an entire American state of mind. And yet this story of diamonds is better than the Gold Rush, and one can sense something of the prospector in the author, too  the thrill of adrenaline at a new find, as he came across this amazing story that no one else had told. 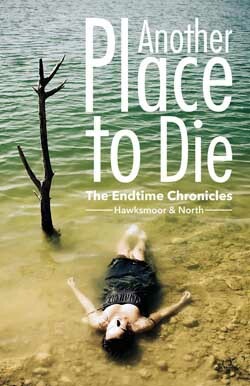 The result of this historical mining is an elegant and convincing novel, a novel of comic moments and dark overtones. With Diamonds, Sam North has recorded a small but significant event in American history, and provided a harsh insight into part of the American character as well. Go west, young man, maybe  but keep your wits about you and do not believe everything you hear. As this novel reminds us, we remember and monumentalize historys winners, but we forget the losers  the millions who didnt strike it rich, or find the gold or the diamonds at the Western end of the rainbow.